Tenkara on the Fly: Giveaway! Tenkara, catching more fish then the others. Have you fished the Thompson? what if you already liked and shared? Woot for tenkara swag! I already follow you so that's done. ;-) Love the blog! Ok, I'm in. I enjoy your posts. I like stickers and flies! I could use a another decoration for my locker! Something green maybe to match the color of my pickup? I'm in!! Love your blog! I just gave up on fishing with my lightweight spinning rig a few days ago and the concepts of tenkara entered my life. the local streams along Lake Superior would be a great place to try it out. Liking this on Facebook as KetoLupine. UPDATE: I think my instructions for the giveaway were not super clear, so I updated the blog post that if you want to be entered in the giveaway, all 3 steps must be completed: 1. comment on blog and like on Facebook and share on Facebook. My husband and I are just getting into Tenkara after fly fishing for years. We love it! But still have a lot to learn. Love the blog. New to Tenkara but I've fished pretty much every other method over the years. Love the blog! I've been reading backwards and am back to July 2011. Your blog is Awesome Sauce! Had my first Tenkara experience last week, you blog was a great resource. Only real men and women fish Tenkara, We don't need no stinkin' reel!!!! Free stuff! Love catching fish the tenkara way! This is a wonderful giveaway, but for those of us who don't have or want a Facebook account your conditions are a bit unfair, I think. Please consider in the future not linking to Facebook. 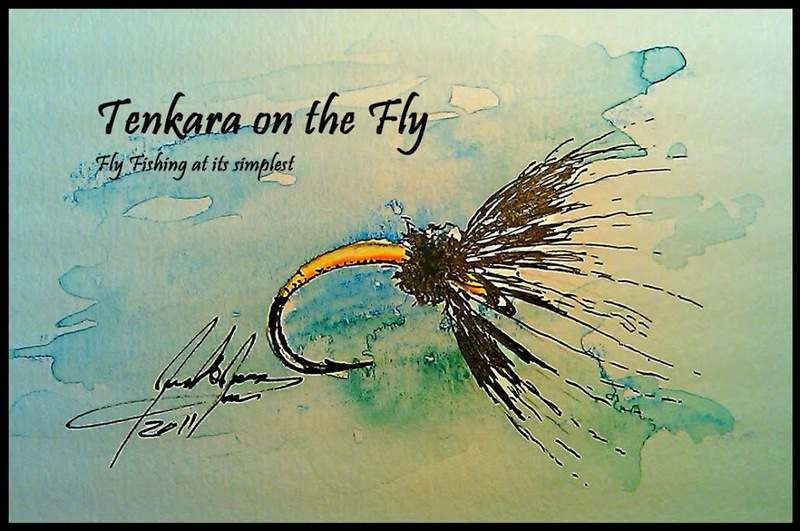 You do have a great blog and it has been a wonderful resource as I am getting into Tenkara. Thank you. Anonymous - i hear you and earlier this week decided to enter anybody who leaves comment here. That being said, it would be nice to know who you are so that any swag for you doesn't get wasted. Cheers! Why don't I just walk down and pick it up? Will - under which name did comment above? I am the person who posted the anonymous comment above. Thank you for changing the conditions of the giveaway. I certainly appreciate the change and I am sure that others do as well. Please don't change the excellent quality of your blog, however. You have a really winner. Email on its way! Missed the updated entry!